We are excited to announce that our headlining act for the Asian Festival Day will be the Filharmonic! 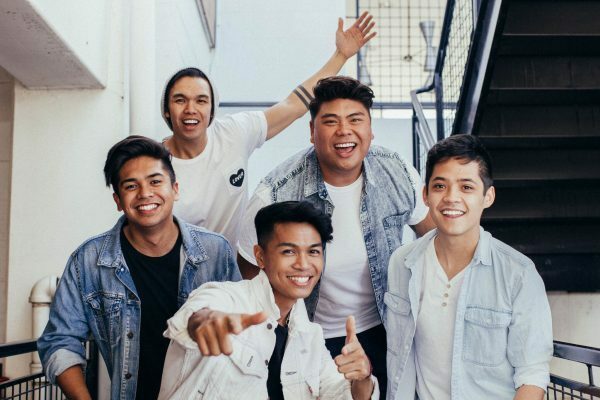 The Filharmonic, an LA-based a cappella group of Filipino-American youngsters who were featured in NBC’S hit musical competition, The Sing-Off, has much to sing about. The 5-piece vocal group made the semi-finals, joined The Sing-Off national tour, and were featured in the Universal Pictures hit movie, Pitch Perfect 2, setting off a viral sensation after their Late Late Show appearance. In 2016, The Filharmonic brings their unique blend of hip hop, pop and 90’S nostalgia to more than 150 college stages nationwide and was named the #1 college booked entertainment group of the year. They consist of vocalists Vj Rosales, Joe Caigoy, Trace Gaynor, Vocal Bass Jules Cruz, And Beat Boxer Niko Del Rey. Follow them on Instagram at www.instagram.com/thefilharmonic and Youtube at www.youtube.com/thefilharmonic. 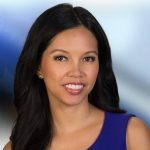 Our special guest hosts will include Channel 10 News’ Melissa Mecija and from Sunny 98.1fm, Hula! Home to children, teens and adults aspiring to be professionals and to those who simply wants to gain knowledge of the performing arts and benefit from the social, moral, mental and physical aspects of dance and exercise. Celebrating its 29 years , Dance Arts Center continue to attract people of all ages taking classes in Ballet, Jazz, Tap, Hip-Hop, Ballroom, Philippine Folk, Polynesian, Voice and Piano lessons instructed by experience teacher with the direction of Tony Salamat. Tony is an internationally trained and acclaimed dancer who for over 29 years taught, choreographed and performed with world class entertainers all over Europe. 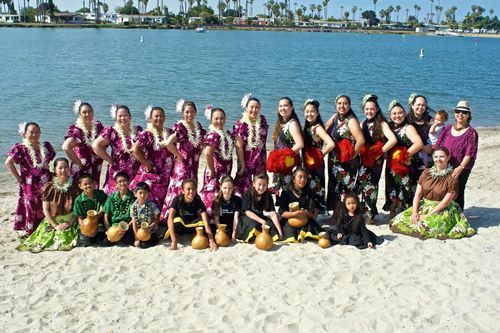 Under the Direction of Aunty Kahea, we are a hula school located in the Mira Mesa area. At our school, students learn ancient and modern hula, traditions and protocols, and arts and crafts unique to the Hawaiian islands. Our performances feature songs from 50 years ago to popular modern songs. Traditional Hawaiian instruments are used during our dances, in which some were made by the own dancer’s hands. 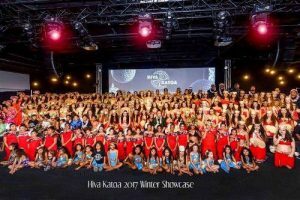 Hula dancing is a “Family Affair” and during any given performance you maybe witnessing two generations or even three generations of hula dancers from the same family on the stage together at one time! We hope you enjoy our stories re-told through our hands, eyes, hips, and feet. With their lineage stemming from Hawaii, Samoa, Tahiti and Tokelau, both Noa and Jeannie Napoleon were born into families who entertained, taught and preserved the Polynesian culture. With the love, support and blessings, of their teachers, mentors, and family, the talented couple created their very own dance group in San Diego, HIVA KATOA which has reached up to 300 students since their establishment in 2017. 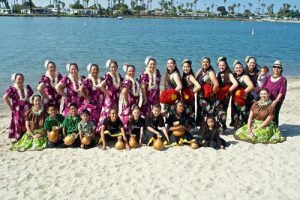 Their mission is to perpetuate their Polynesian heritage through the art of song, dance and storytelling. The JING Institute of Chinese Martial Arts & Culture delights in sharing the joys of Wushu (武术） / Kung Fu and Tai Chi （太极）. Relax with the calm, fluid movements of Tai Chi, and enjoy the high energy and crisp power of Chinese Wushu! The JING Institute invites all good people to enjoy, experience, and benefit from the treasure that is Chinese Martial Arts. Mochi Cafe is an event based maid cafe in San Diego, California, founded by Andrea Cash on August 16th, 2009. Inspired by the maid cafes in Akihabara, Japan, Mochi Cafe entertains guests through games, dance, song, and occasionally cuisine. 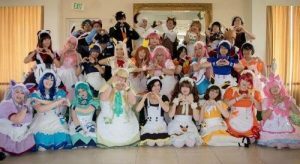 Unlike the traditional black and white attire, maids and butlers of Mochi Cafe bring a colorful and unique brand of cultural entertainment for all ages. Mochi Cafe is an eclectic blend of Japanese pop culture and the celebration of friendship and fun. Mochi Cafe strives to bring a unique experience of Japanese Maid Cafes to the United States so all fans of Japanese Culture could enjoy. 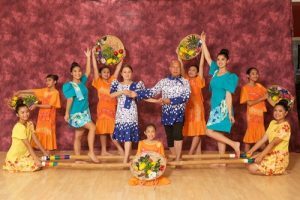 This year the Samahan Filipino American Performing Arts & Education Center embarks on its fourth decade of continually providing Filipino cultural arts through dance, music and living traditions and enriching cultural diversity to the San Diego community. 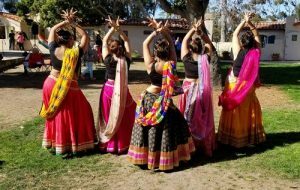 Samahan continues to offer Filipino folk dance and music classes, workshops, holding annually the Concert of Philippine Dance and Music and the Philippine Cultural Arts Festival in Balboa Park. They also perform in community and school events as well as private gatherings. 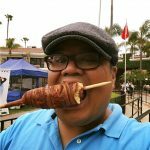 The Samahan Filipino American Performing Arts has evolved to be recognized amongst the top San Diego ethnic performing group. 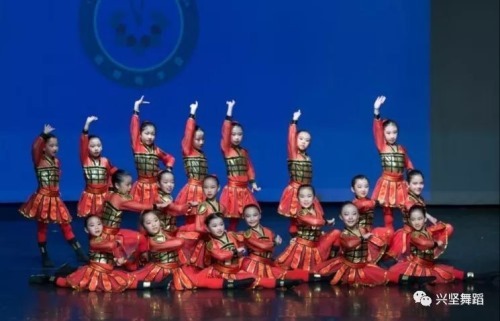 It’s 5 components are: Samahan Philippine Dance Company, Pakaragian Kulintang Ensemble, Samahan Rondalla, Angklung Group and the Junior Dance Group. Each group may be booked to perform at events. 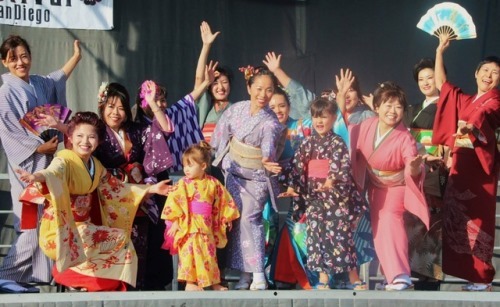 The San Diego Kimono Club introduces Japanese culture and traditions through beautiful Kimonos. The audience enjoys authentic Kimonos, varieties of special occasion kimonos, heirloom pieces, and everyday summer casual ones, while learning significance of this traditional garment. The club consists of 100 plus kimono loving members, and has been a popular attraction at cultural events in San Diego and Tijuana. Enjoy a Fashion Show of Japanese traditional Kimonos, an Obi sash dressing demonstration, and a fun dance show! The San Diego Korean Pungmul Institute (SDKPI) is a non-profit organization. It is composed of grades K-12 from various schools in San Diego. The purpose of the organization is to promote volunteerism, encourage positive relationships with local communities, and prepare the Korean-American youth to become leaders of society. Also, the organization supports and preserves the identities of Korean-Americans by having them experience a variety of traditional Korean musical culture and voluntarily perform in various events to share Korean culture with other communities. The organization has participated in the Rose Bowl Parade, Hollywood Parade, Disneyland Parade, and local and out of the U.S. cultural events. The organization will continue to support our students and work with other communities to have them play a vital role in communities. 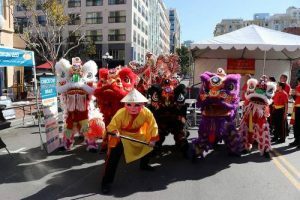 The San Diego Lucky Lion Dancers are part of the non-profit Chinese Consolidated Benevolent Association and are the oldest lion dance group in San Diego. 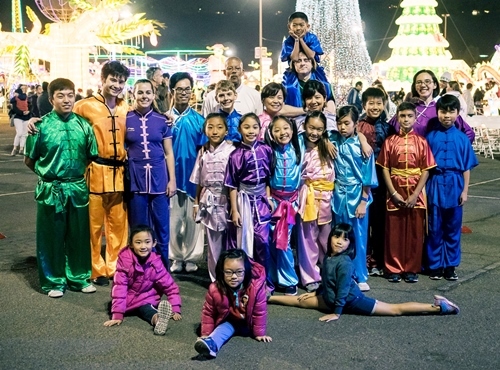 They practice traditional Southern-style lion dance as well as dragon dance. 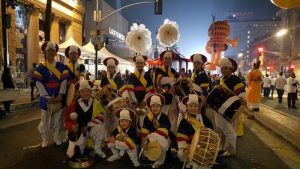 The group’s busy season is during the Lunar New Year, and they perform throughout the year for weddings, grand openings, and private events. The lion dance is performed throughout the world to scare away evil spirits and bad luck to bring good luck and prosperity. The Swaggers bollywood and western dance group is run by Preeti Sharma.They perform different dance forms like Indian Bollywood, Freestyle,Punjabi, Folk,Western and Fusion styles for private,public corporate and wedding events. 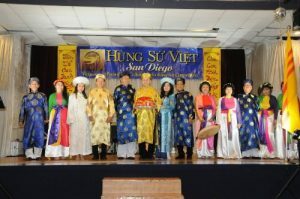 The Vietnamese Community of San Diego is a non-profit community based organization. 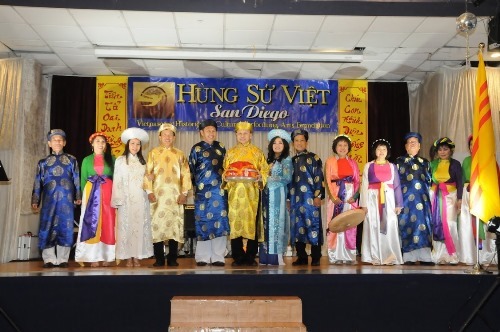 It was founded in 2006 as a means for Vietnamese Americans to maintain the heritage culture. Its mission is to promote cultural awareness, social activism, and community development. Established in 1985, White Dragon is one of the oldest and largest martial arts schools in Southern California. The school teaches traditional kung fu and tai chi for health and self-defense to students of all ages. In addition, White Dragon has one of the most active Lion Dance Teams in San Diego. Xingjian Dance Studio was founded in 2002 under the direction of Mrs. Rose Liu. It is committed to promoting the art of Chinese traditional dance in addition to classical ballet and contemporary. 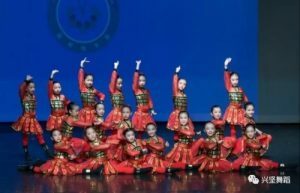 The students actively participate in both regional and national competitions, and have won top awards in several categories for both solos and group dances.